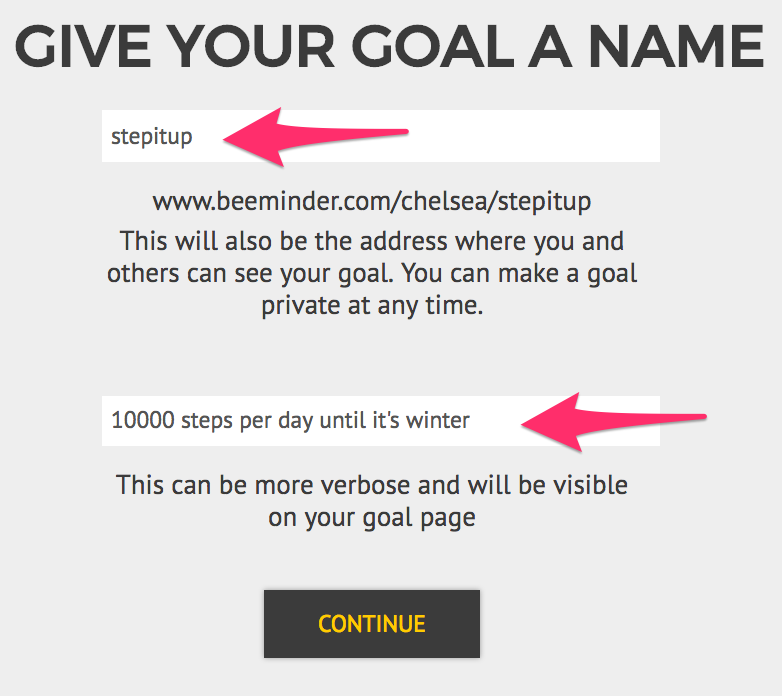 There are a few different ways you can set up a steps goal with Beeminder! First, you'll want to decide whether you'll be entering data manually or using another device to report the data to Beeminder automatically. We highly recommend using an automatic data source if you have one — worry more about doing your steps and less about remembering to update your data all the time! We have direct integrations with Fitbit, Garmin, Apple Health, and Misfit fitness trackers. If your preferred service isn't in that list, you might also want to check IFTTT and Zapier to see if it's covered there. Both of those services can be used to automatically send data from an outside service to a Beeminder goal. 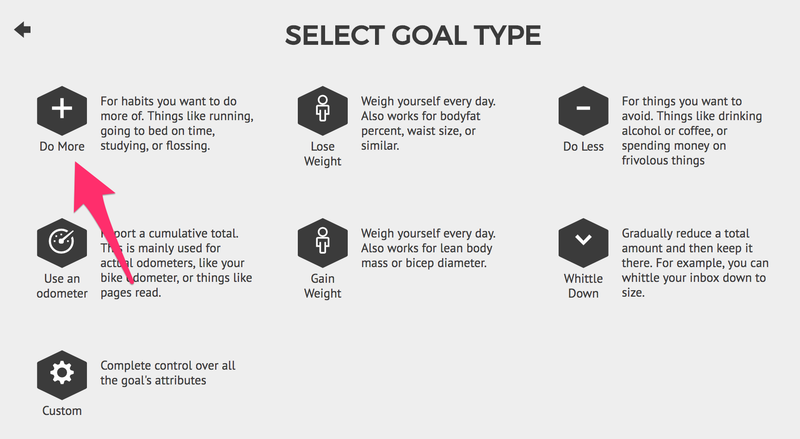 Select Do More as your goal type (because you want to Do More steps). 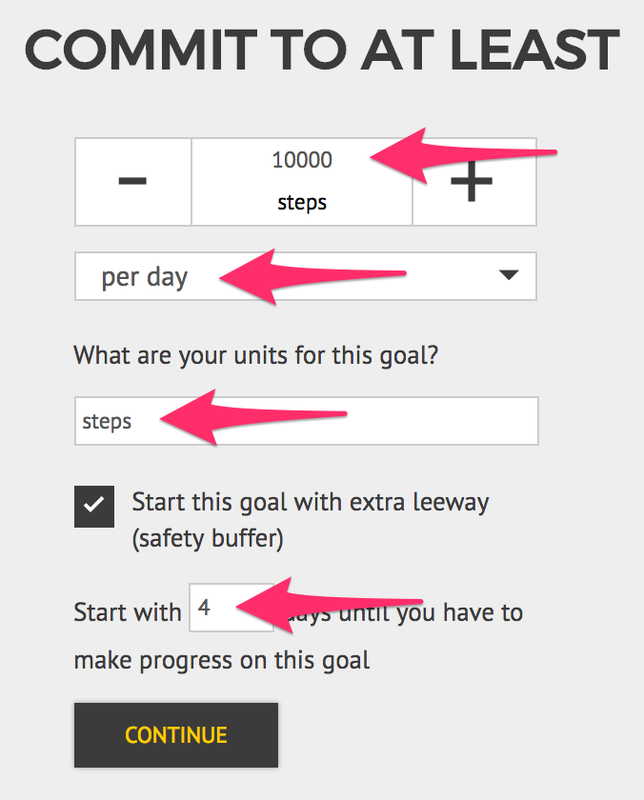 Enter the number of steps you want to commit to. 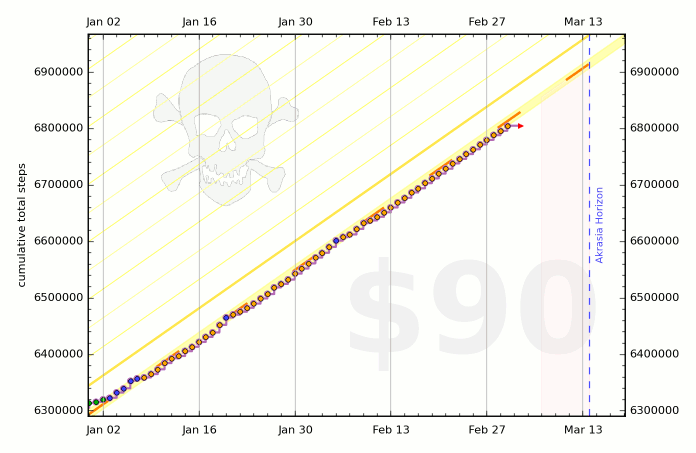 For example, you might want to do 10,000 steps per day, which is the same as 70,000 per week. 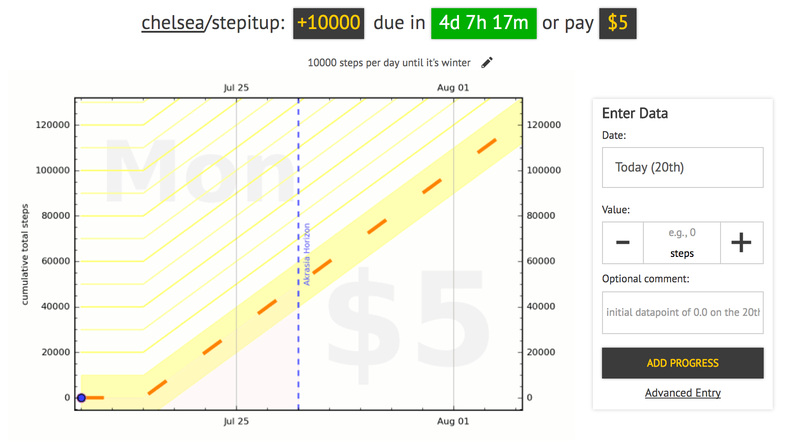 A 50,000 steps per week goal would be the same as 7,143 steps per day. 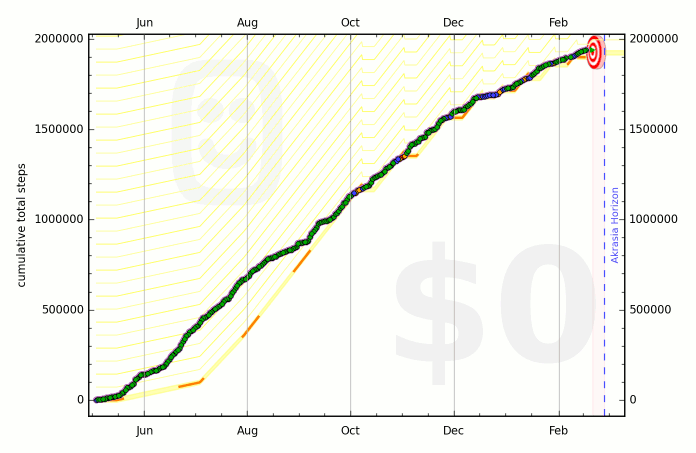 You can explore a couple real users' steps goals below to see how the goals will look once they've been going for a while.